The Gripper Hose System consists of three heavy duty nylon straps with a padded shoulder sling, all sewn together with a cross piece to create a hose harness. 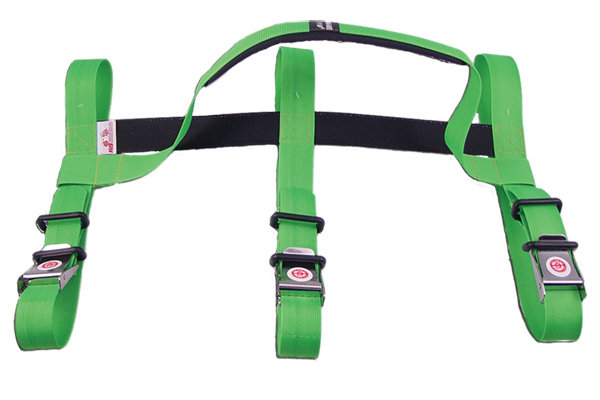 The gripper has a padded high visibility shoulder sling, with three 2" wide, 42" long 3000-pound strength webbing to secure the hose. Utilizes cam buckles and torque rings and is easily opened with a gloved hand. Shown with 150 feet of 1¾" hose. 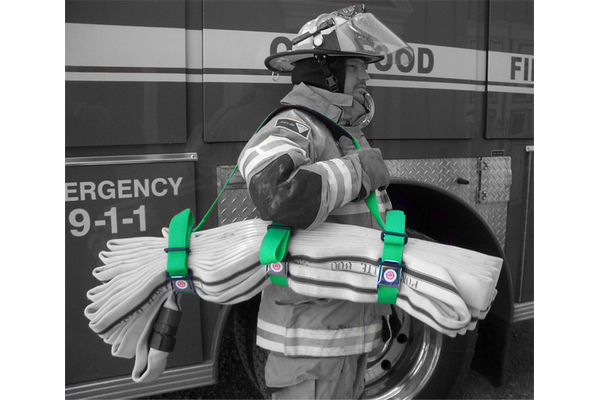 The 42" long straps have the capacity to carry more hose than the average firefighter can carry. Wt. 24 oz.